Amazon Selling Facial Recognition Tool to Police Has Cops Worried It Gives "Big Brother Vibe"
Amazon has been looking into gaining some market share of the surveillance and spying industry. According to official documents, the e-commerce giant has been actively courting the US government to use its facial recognition system that can identify people in real time. Known as Rekognition, Amazon’s facial recognition system promises to recognize over 100 people in a single image and compare those images against databases that contain tens of millions of faces. The system can also identify people in videos and follow their movements almost instantly. Critics warn that the company’s offer of low-cost facial recognition system will take us into a dystopian future where every person – even someone who has never committed a crime – will be under constant surveillance. 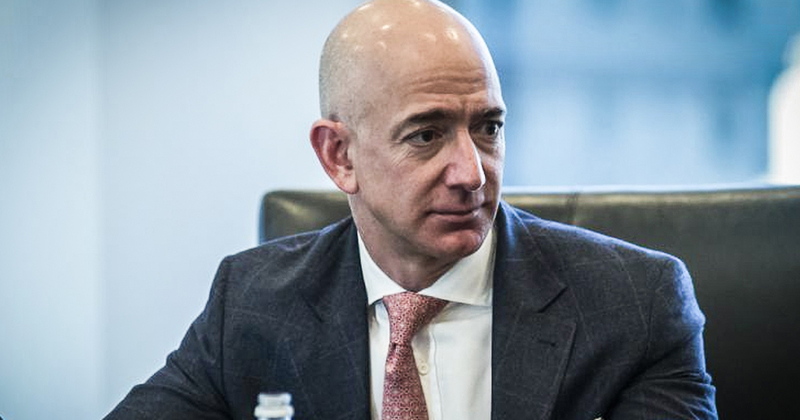 Over three dozen civil rights organizations wrote a letter to Jeff Bezos on Tuesday, requesting Amazon to stop powering a government surveillance infrastructure. We demand that Amazon stop powering a government surveillance infrastructure that poses a grave threat to customers and communities across the country. Amazon should not be in the business of providing surveillance systems like Rekognition to the government. Rather than restrict government use of Rekognition, Amazon is helping governments deploy it on both coasts, according to documents obtained by ACLU affiliates in three states. It has provided product support and offered free consulting services to government customers. Amazon has solicited feedback on new product features for law enforcement. Amazon even signed a secrecy agreement with a prominent law enforcement customer. Despite all of this, Amazon imposes no meaningful restrictions on how governments can use Rekognition. The American Civil Liberties Union has pointed to a presentation where Amazon executives told Orlando police that there are “cameras all over the city” that submit images to Rekognition that then analyzes these images in real time to track people. As a technology, Amazon Rekognition has many useful applications in the real world (e.g., various agencies have used Rekognition to find abducted people, amusement parks use Rekognition to find lost children, the royal wedding that just occurred this past weekend used Rekognition to identify wedding attendees, etc.). And the utility of AI services like this will only increase as more companies start using advanced technologies like Amazon Rekognition. Our quality of life would be much worse today if we outlawed new technology because some people could choose to abuse the technology. Imagine if customers couldn’t buy a computer because it was possible to use that computer for illegal purposes? Using this technology in limited spaces, like at a wedding ceremony, inside a mall or a commercial building, would make some sense. However, to enable law enforcement to be able to track anyone anywhere takes surveillance to another level where police can spy on even innocent citizens in public spaces potentially with little to no oversight. “This raises very real questions about the ability to remain anonymous in public spaces,” Clare Garvie, an associate at the Center on Privacy and Technology at Georgetown University Law Center. It also appears that the police itself is conscious of not going public about this partnership. In a leaked email exchange, one Washington County official said that the county sheriff is “hesitant about appearing to be ‘in bed’ with big data.” Other emails revealed similar sentiments from other employees who were wary of appearing to be spying on American citizens. But, this isn’t just a perception. Amazon’s argument that the company cannot stop technological advancements because of possible abuses and how lack of these advancements would affect the quality of life definitely gives the Big Brother vibes – that all tech and all surveillance is for the good of the society.